As a platform that brings people together to do what matters most to them, Meetup is entrusted with a lot of data, including the content and information generated by our members. Like most online service providers, occasionally we receive orders or requests impacting our members, such as government requests for information and intellectual property claims. We value our members’ trust and we take our legal obligations seriously. We have developed procedures to ensure that we handle these requests and orders fairly and with proper consideration for member privacy. We have chosen to publish this Transparency Report to give our members, as well as the broader public, visibility into how Meetup responds when faced with these decisions. With rising levels of civic participation and public concern about challenges to democratic ideals, we hope that this transparency report will serve to strengthen our members’ trust, and provide everyone with useful information about this important topic. Click here to read Meetup’s Inaugural Transparency Report, which includes information about the data requests and IP claims that we received between January 1, 2016 and December 31, 2016. We added an easy-to-understand overview, section summaries, and practical tips. We updated aspects of how and where you can bring a claim against us, including important information about informal dispute resolution, mandatory arbitration, and a class action waiver. We added details about how we collect information about you. We let you know how we use information about you to operate our service, and for other uses, including advertising. We explained how we share information about you with our service providers. We provided more information about your choices related to how we communicate with you and how we use information about you. We elaborated on how you may be able to control or opt out of some of these technologies. If you created an account on or after March 28, 2017, these updated terms and policies already apply to you. If you want to provide feedback on our updated terms or policies, you can contact us at legal@meetup.com. Thank you for being a part of the Meetup community. 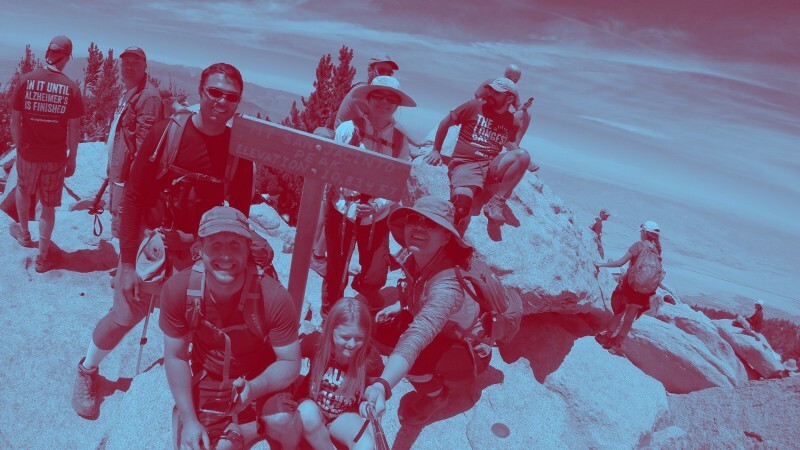 For almost 15 years, Meetup has served as an organizing platform for a wide range of political parties and movements, welcoming everyone from the Howard Deaniacs to the Tea Party. “We’re vital plumbing for democracy,” we always said. Before today, our company had never taken a partisan stance. It’s not a decision we take lightly. But after Donald Trump’s order to block people on the basis of nationality and religion, a line had been crossed. At a time when core democratic ideals felt under attack, we looked at our members’ response, and were inspired by Meetups like SF Resist. We felt a duty to spark more activity and broaden civic participation. As champions of democracy, equality, human rights, social justice, and sustainability, more people (than ever!) are ready to organize, take to the streets, visit town hall meetings, pick up the phone, paint signs, and huddle to make their voices heard. We are Meetup, dammit! We needed to act. So last week we stopped normal operations for a company-wide hackathon (a “resist-a-thon”) to help people get involved. It’s time to defend our democracies and restore values of inclusivity, love, tolerance, and respect — one helping hand, one voice, one Meetup at a time. It’s up to the people to take this forward (anyone can show up, anyone can step up). And we’re lucky to have partners including the Women’s March, Human Rights Watch, Planned Parenthood, the Anti Defamation League and many others who are contributing to our library of ideas for making change. Meetup exists to create welcoming spaces where people can connect. We look forward to seeing the positive impact from these Meetups when those connections happen. Find a #Resist Meetup near you or start your own. People go to Meetups so they can do more of what’s most important to them. By coming together around shared interests, we move our lives forward, and we make our towns and cities stronger, healthier, happier places— getting closer to Meetup’s vision of a world full of real community. In an election season marked by unprecedented discord and disunity, Meetup members continued to show up and welcome strangers, regardless of their politics. Tomorrow, it’s time to show up at the voting booth. Meeting up proves how powerful we are when we are together, and so does voting. We believe that everyone should have a voice in their community, and voting is one of the most important ways to make that voice heard. If you’re not sure where to go to vote, gettothepolls.com has all the information you need. We’re taking the next step to improve our apps for iOS and Android by making it easier to find Meetups for all the things you’re into. A few weeks ago when we relaunched our apps, we introduced a new browsing experience that exposes the breadth and depth of the Meetup network, and connects more of our members to the right experience for them. Now we’re building on that foundation by adding a new tab that offers another way to find Meetups. For longtime Meetup users, you’ll see that this upcoming release has a familiar look. In the weeks since that launch, we realized that Meetup members missed the calendar view that had previously been available in the app. We always planned to make it easier — and we’re grateful for the advocacy of devoted members and organizers who shared how important this was to them. Today, this functionality is available in beta. 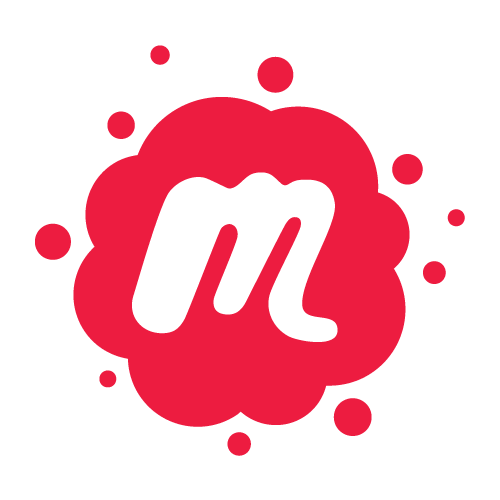 Next week, we expect to make it available to all of Meetup’s app users. — Android: Opt in to become a tester here. — iOS: Sign up here. Today we re-launch Meetup with beautiful new apps for iOS and Android. 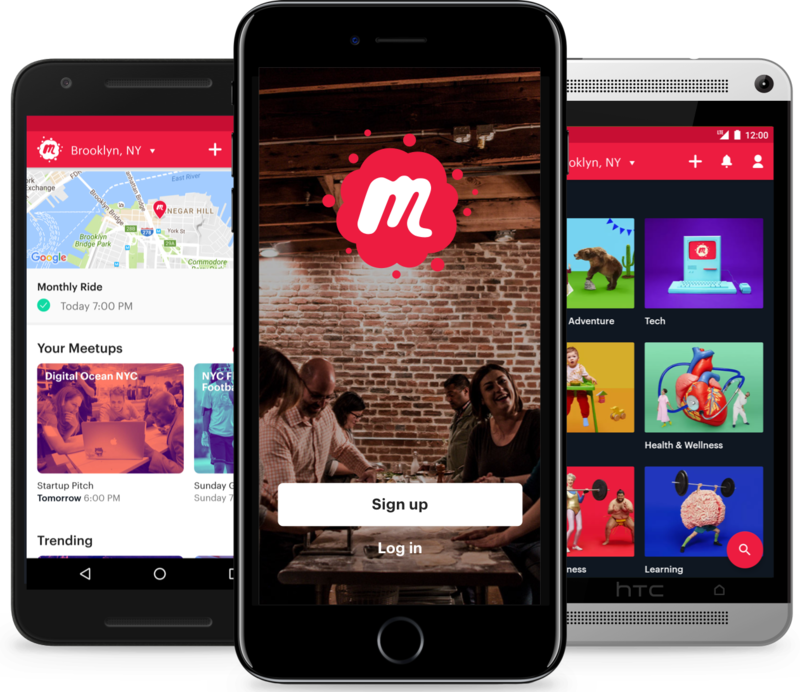 Everyday in thousands of cities, Meetup expands possibilities for our members by offering access to worlds. But it wasn’t easy enough to find the Meetups that could change your life. How can we help you train for a marathon, practice a language, get into tech, write a play, learn to cook, hike a mountain? How can we help more people have the life-changing experiences that happen when they meetup to do things they want to do in life? 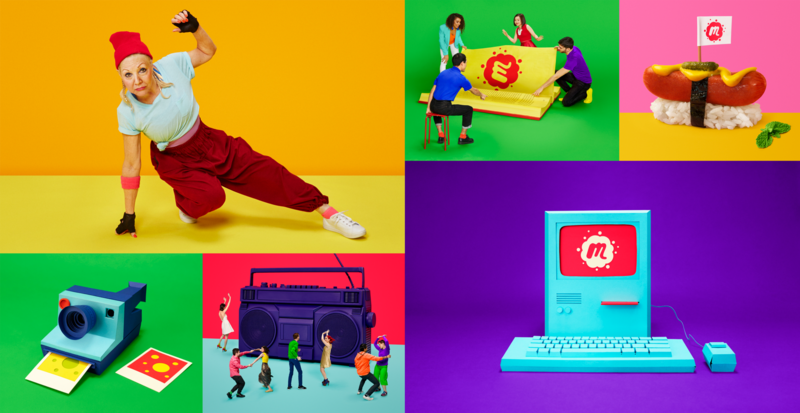 Starting today, we’ve got new apps and a new look — bright, bold, energetic, and yes, a little quirky — that captures Meetup as we’ve always known it. For the first time, our outsides finally match our insides. There are lots of reasons to love Meetup’s nametag logo, but one important reason to ditch it. The nametag represents the most awkward moment in the entire Meetup experience — the moment you have to say hello to a complete stranger. We didn’t make the same mistake with our new branding (created by renowned design firm Sagmeister & Walsh). Now our logo represents why Meetup exists in the first-place — to bring people together to do the things that matter most to them. We call it the Meetup swarm, and it’s created when individual dots unite to form the “m” symbol. We love the dynamism of the animation, and all the possibilities it inspires for our product design. 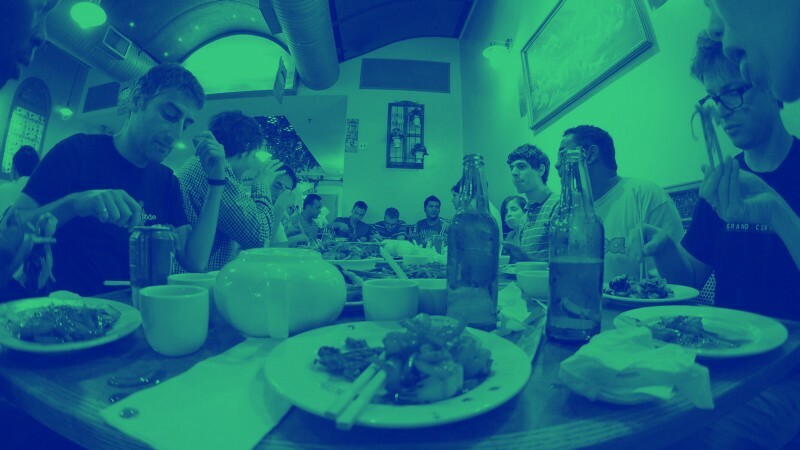 Each Meetup group is a different swarm, made unique by the people who join it and the interests they share. 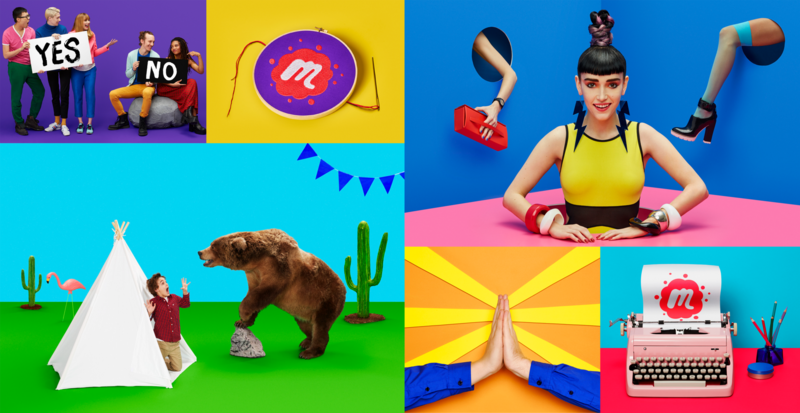 The new Meetup visual identity is inspired by this concept — a brand built by the crowd. In the same way a crowd changes and grows with the people who join, Meetup is constantly evolving with our members. A company like ours can’t upgrade our branding without giving everyone in our community the chance to participate. So, coming soon, each Meetup group will have an easy way to pick a symbol, customize it, and make the Meetup swarm their own. We hope our members and organizers love the new look as much as we do, and that it helps create great looking signs and swag, making it easier to find each other in real life. Beyond the swarm, all the elements of our new branding system capture the spirit and energy of millions of people meeting up to do what they want to do in life. This includes the bright color palette, the duotone photo treatment, and a set of unique photos created for each of Meetup’s categories (featuring Meetup members as models). The best way to experience our new look is on our apps for iOS andAndroid. The new visual identity is launching at the same time as a total overhaul of our apps. We’ve redesigned them to expose the best Meetups for our members, and to simplify the experience so that it’s easier than ever to join, RSVP, and start a Meetup. At the outset of the redesign, we challenged ourselves with a dream assignment: imagine you’re creating Meetup from scratch and build an experience that lays the foundation for the future of Meetup. This was a rare opportunity to create a cohesive end-to-end experience designed to serve member and organizer needs. The most important step at the outset of a project like this is formulating the right questions since each answer introduces constraints that shape the final outcome. First and most importantly, the team decided to focus on the Meetup apps for iOS and Android. We’re not delivering on the core promise of Meetup if we’re not using location information and notifications to enrich and enhance the in-person Meetup experience. 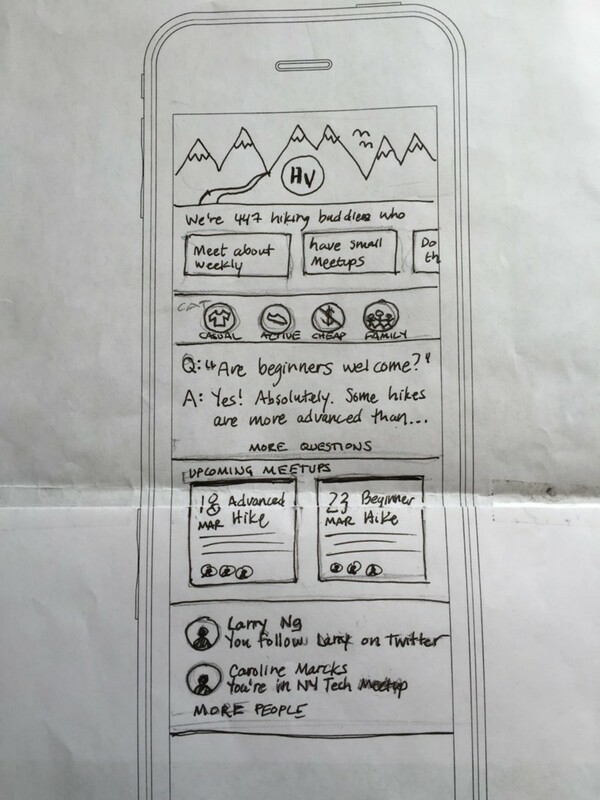 People want and expect a great Meetup app, and our team was ready to realize the possibility of Meetup as a mobile first product. 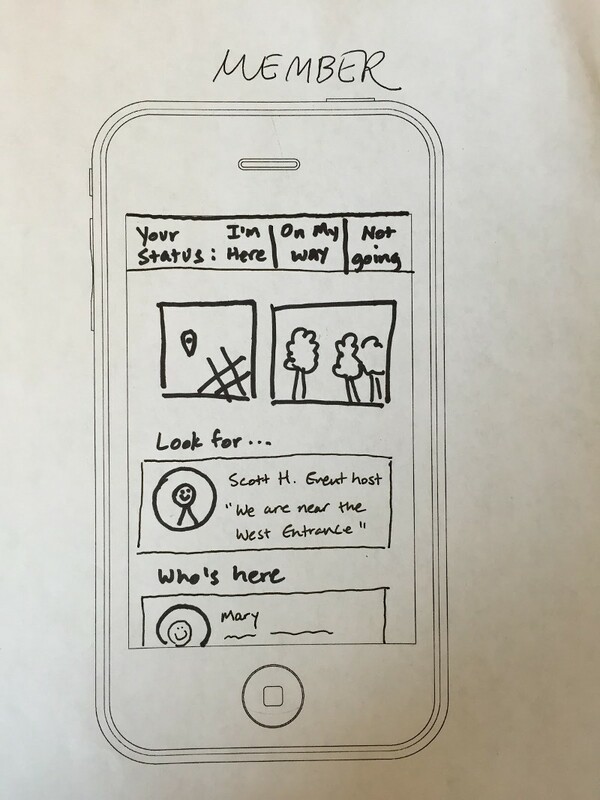 Beyond the first clear-cut decision to design mobile-first, the team probed to understand member and organizer motivations and behaviors. 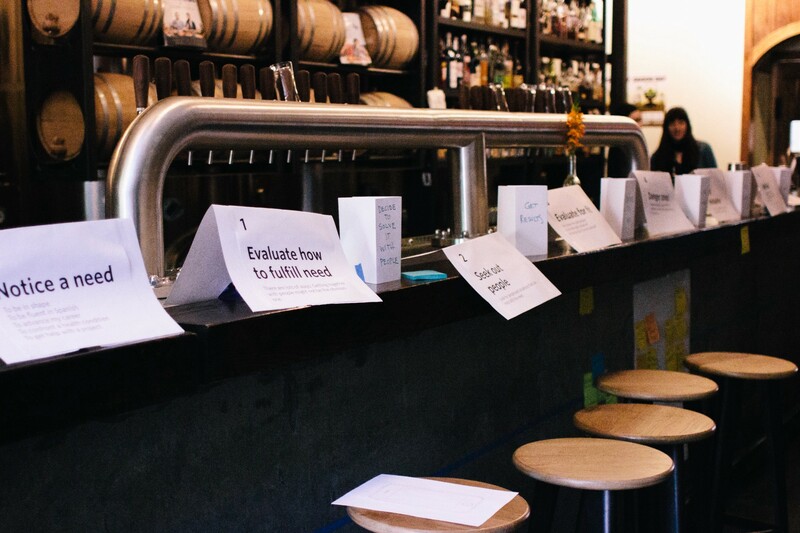 We conducted an expansive research phase including user research with our members and organizers, stakeholder interviews, and a company-wide survey to solicit input. The research phase concluded with a design-led offsite involving representatives from every team. We worked in small groups to dream up product solutions to address the different phases of the member journey. 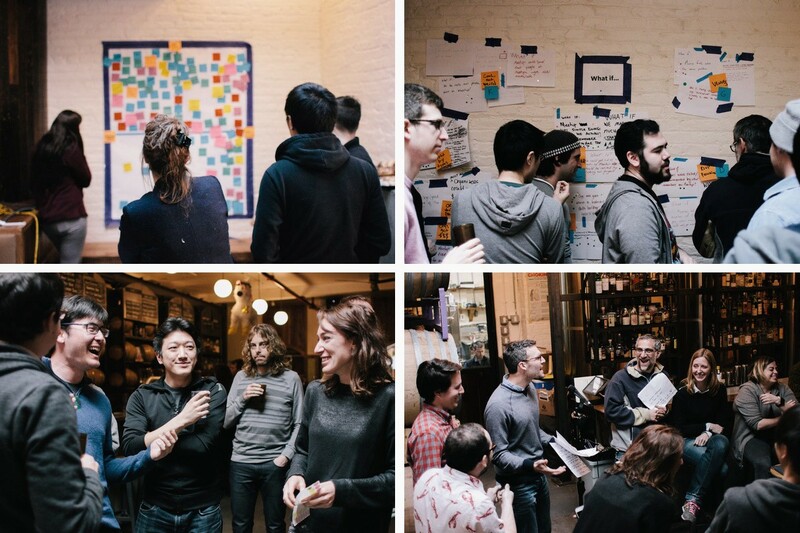 In an afternoon, those dreams became paper prototypes, and that same evening, we visited Meetups all over New York City to get real-time feedback from members and organizers. With some new insights uncovered, we could crystallize why people are drawn to Meetup, and what our app could uniquely deliver. 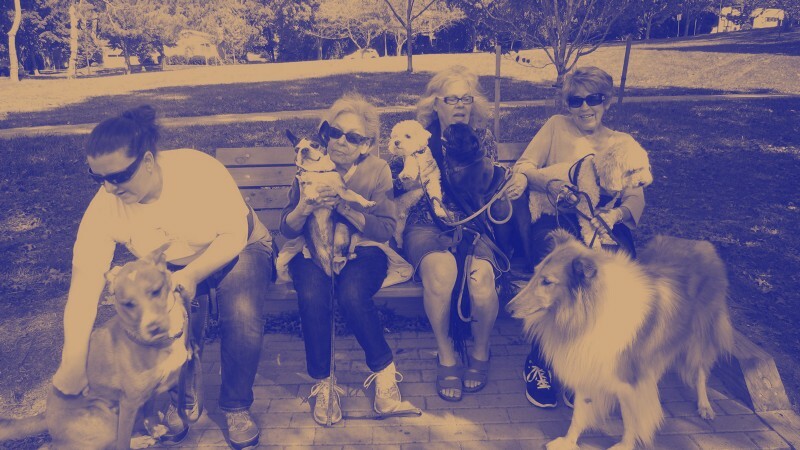 We learned that people love Meetup for the variety it offers, and ultimately because a Meetup group becomes an outlet for the things that matter most to people. That can include learning a new language, writing that screenplay, running a faster mile. Meetup offers access to worlds by expanding possibilities for our members. When we mapped this project focus to the member and organizer journey, it was clear where we had the biggest opportunity. Whether you’re a new member, or someone who’s been on the platform for years, there’s something(probably many things) in our network of Meetup groups that would capture your imagination. How could we expose the best Meetups for each person? 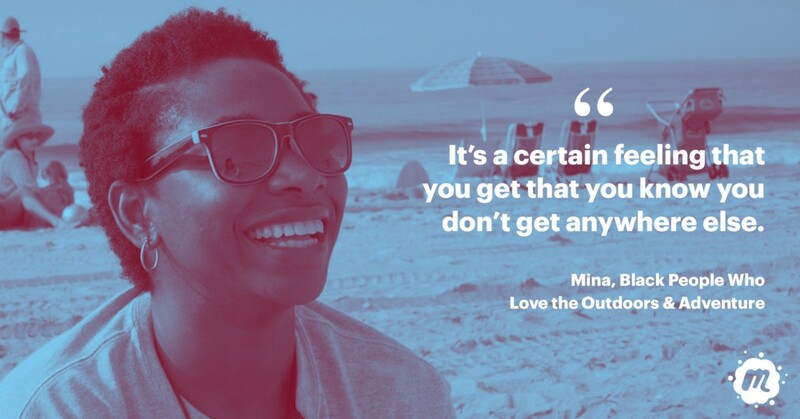 How could we get more people to join, and go, so they can have the kind of life-changing experiences that happen when people pursue what they’re into? It’s obvious why this is important for our members. But it’s equally important for our organizers, too, because it helps them attract more engaged members to their groups. Download for iOS and Android today and find Meetups you’ve been missing. We pride ourselves on building the company we want to work for. In recent years, the team grew, we took on more ambitious projects (check out our new apps!) — and we realized it was time to better define our core values so we could clearly express what kind of company that would be. Codifying the values became an ambitious project in itself. But on the other side of it, we ended up with a strong point of view about how we work together and what characteristics matter most when we hire new Meetuppers. 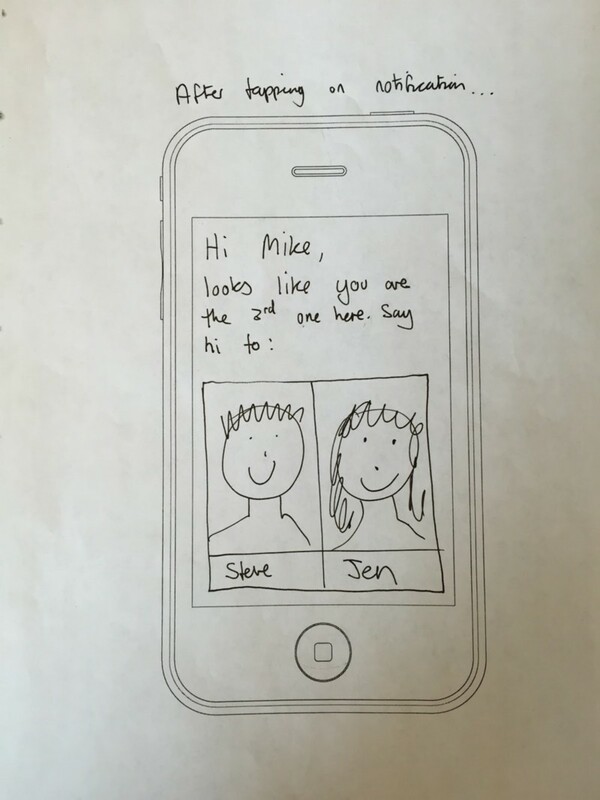 If you see something that moves you, leave us a note. A — Always go for maximum impact on lives. We like stability, but we like the possibility of impacting more lives even more. We like to care for everyone, but we like scaling and simplicity even more. We like money, but we like making money in ways that strengthen the network even more. B — Be brave & bold. We like to take on a lot, but we like doing fewer, high priority things well even more. We like precise measurement, but we like acting when measurability is not possible even more. We like not annoying people, but we like confidently encouraging people out of their comfort zones even more. C — Change the company. We like our routines and ways, but we like always improving even more. We like what we’ve got, but we like making the Meetup of tomorrow even more. We like fixing things, but we like systemic fixes (small and big) even more. D — Debate & decide. We like harmony, but we like the better ideas that come from people speaking up even more. We like consensus, but we like action even more. We like defending our opinions, but we like being open and recognizing when it’s time to commit (or switch teams) even more. We like having power, but we like distributing power even more. We like people who show up, but we like people who step up even more. We each like caring about everything, but we like clear roles and responsibilities even more. We like launching, but we like investing to launch faster in the future even more. We like hard work, but we like working hard sustainably even more. We like winning, but we like integrity even more. We like fitting in today, but we like inventing the future even more. We like heroic individuals, but we like rabid, amazing, caring teams even more. We like talking about community and Meetups, but we like living it even more. We like avoiding awkwardness, but the best things happen when people meetup. For most people it’s enough to just see the most-buzzed-about show on Broadway, but for the die-hards of the Hamilton Sing Along Meetup, that’s only the beginning. After the live show ends, the Hamilton score takes on a life of its own in the minds of those who hear it. “It’s just brilliant. It’s brilliant.” the Meetup’s organizer, Ed, gushes as he conveys the catchiness of the melodies, the complexity of the lyrics. He briefly recalls not being a fan of hip hop before seeing the show, but then breaks spontaneously into a verse, rapping, “this is not a moment, it’s a movement world. The hungriest brothers with something to prove went,” and then he laughs. “It happens a lot,” he says. The inaugural Meetup happened on a Friday evening in a Manhattan apartment belonging to Ed, who played the entire Hamilton score from start to finish on a baby grand piano in his living room, while the 17-or-so members in attendance meticulously belted every word. What’s something you’ve experienced that you wish you could relive again and again?